The Panasonic ranges offer some of the closest shaves out there and their foil blades are incredibly gentle to the skin (a bonus for those who suffer from razor burn and irritation). With similar features and the classic Panasonic style, our expert advice team deep dived into the specs and features to compare the two models. 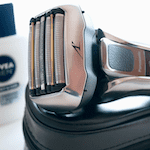 The Panasonic ES-LV9Q has been named the “World’s Fastest Shaver”, based on its 70,000 cross-cutting actions per minute (versus other named brands). Its ultra-fast 14,000cpm linear motor provides a smooth and clean shave every time. And what’s more, there’s no power loss or missed whiskers and it’s even been tested on heavier beards. Its predecessor, the Panasonic ES-LV95, still offers a 14,000cpm linear motor drive for a smooth, clean shave but it doesn’t boast the same cross-cutting action per minute. For those that are looking to save time on their grooming routines, the ES-LV9Q is definitely going to save minutes every day in front of the mirror. The Panasonic ES-LV9Q has the latest technology Multi-Flex 5D Head which has a newly developed suspension mechanism to improve head movement. It makes for a closer following to facial contours and provides closer contact whilst remaining irritation free. The head can slide, twist, move up and down, left and right, forward and backwards. You’ll never miss whiskers again. Whilst the Panasonic ES-LV95 has a face-hugging multi-flexible head that specifically conforms to the neck and jaw areas, it’s not quite as mobile as the ES-LV9Q. It does still offer light contact to the skin to minimise irritation and flexes up and down, and left and right. With a 5-Blade cutting system, the Panasonic ES-LV9Q has three distinct foil patterns that work in unison to capture and cut even the toughest parts of a beard. In addition, the 30-degree angle of the inner blades achieve that incredibly close shave. Driven by a high-speed linear drive motor, the combination of blades work together to cut smoothly through whiskers to leave an incredibly close shave. Panasonic has also applied state-of-the-art technology to develop blades with outstanding quality using Japanese craftsmanship techniques for the blades of the ES-LV9Q. The multi-fit arc blades of the Panasonic ES-LV95 give a close and gentle shave. The slight arch across the length of the foil blades offer a close, comfortable shave when they come into contact with the skin. Its nano polished inner blades also have the acute 30-degree angle to achieve closeness and are also driven by a high-speed linear motor. Panasonic ES-LV9Q’s shaving sensor technology recognises the differences in the density of your facial hair as you shave. It boosts its power where hair growth is heavier or tougher and reduces power where its thinner to save on charge. 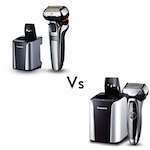 The electric shaver reduces the burden on your skin and maintains optimal shaving results. The Panasonic ES-LV95 also boasts shaving sensor technology to understand hair density to achieve optimum results when shaving, no matter the thickness of hair. When it comes to cleaning, Panasonic are at the forefront with automatic cleaning and charging stations to save you as much time as possible on the go. 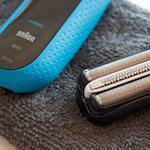 Their stations clean, dry, charge and renew the unit to keep your blades sharper for longer. Both electric shavers are designed to be waterproof and fully washable. 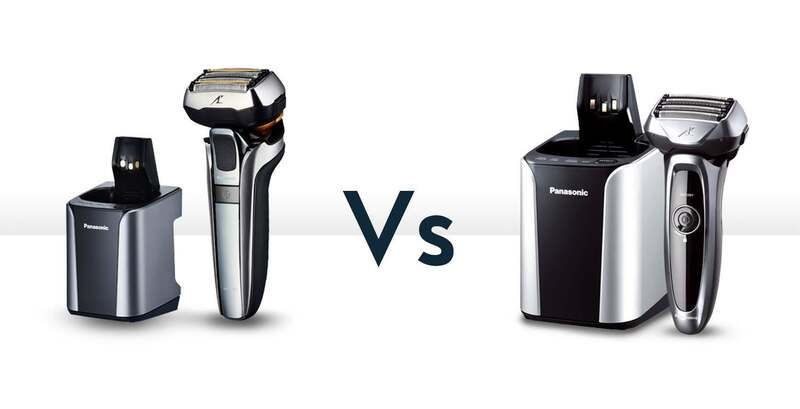 No matter your preference both Panasonic models can be used as a Wet & Dry electric shaver and will offer a silky-smooth shave under either preparation. Whilst the ES-LV95 is still an incredible electric shaver from Panasonic and offers an excellent shaver, the ES-LV9Q has the slight edge with its new Multi-Flex 5D head cutting system to ensure a closer shave in less time. If you’re on the go and looking to cut time from your shaving routine, then the latest model from Panasonic is going to save you minutes every day. The Panasonic ES-LV9Q is when precision meets speed with its ultra high-speed linear motor.